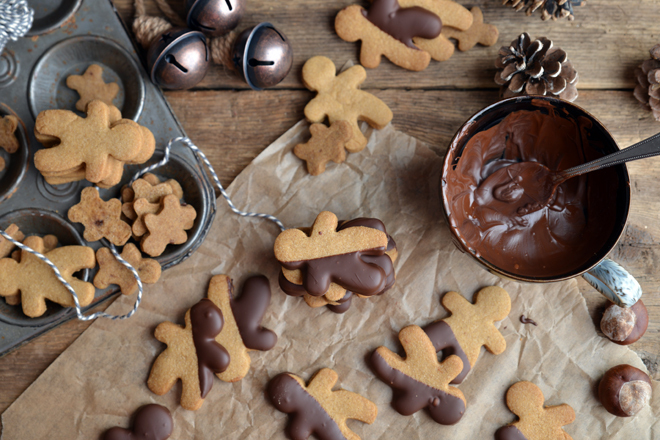 These aren’t just any gingerbread men - okay this is not a marks and Spencer advert. As much as I love marks and spencer I never really liked those adverts they always made me feel a little ill, the new Christmas one though I'm a fan of, it’s definitely up there with the coca cola advert. Okay I’m off topic. Can I just clarify before we start that the gingerbread men aren’t short, well I guess technically they are because they’re mini and half the size of a “normal” gingerbread, my point is I’m not heightist with my gingerbread men! This is one of those Sunday morning bed brain waves. 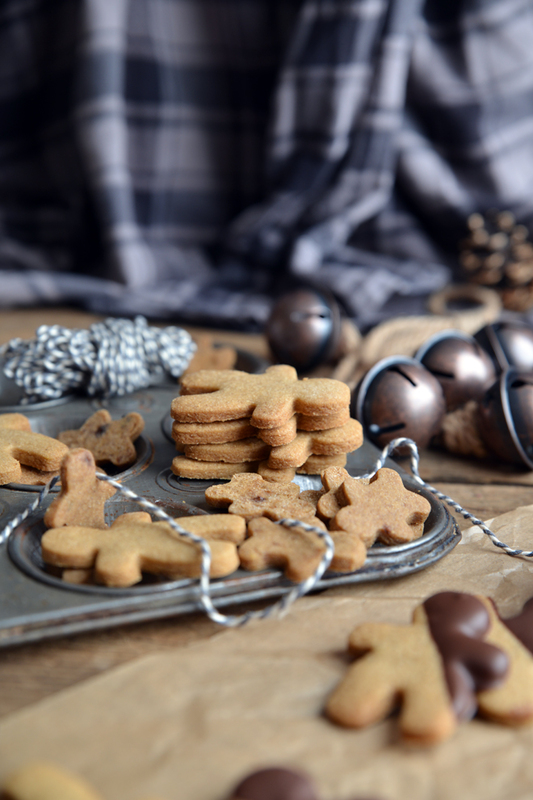 My partner in crime, who is still on the other side of the world, was telling me she couldn’t make gingerbread because she can’t have eggs at the moment and I’m pretty sure there’s hundreds of egg free gingerbread man recipes, I mean vegans gotta eat too. Anyway, I said why don't you make ginger flavoured shortbread and cut them into gingerbread men I mean she loves gingerbread and she loves shortbread win win! After thinking about it for about 30 seconds I decided it was a genius idea (okay not quite Einstein level but I mean pretty close right?) and I had to do it myself. 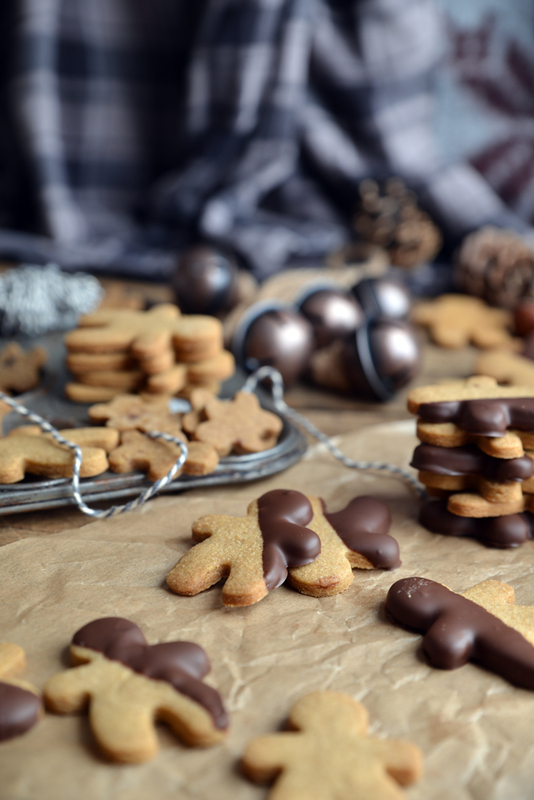 Well say hello to my new favourite gingerbread recipe, don't worry other gingerbread recipe I still got ya’ back, they're on an equal playing field, it's like picking your favourite food out of chocolate cake and spaghetti bolognese....they're completely different but I love them both the same (sort of). But this is a little novel right now so I am all about that short gingerbread man life. Measure all the ingredients into a bowl and rub in the butter or margarine with your fingertips. Knead gently to bring together and form a dough. 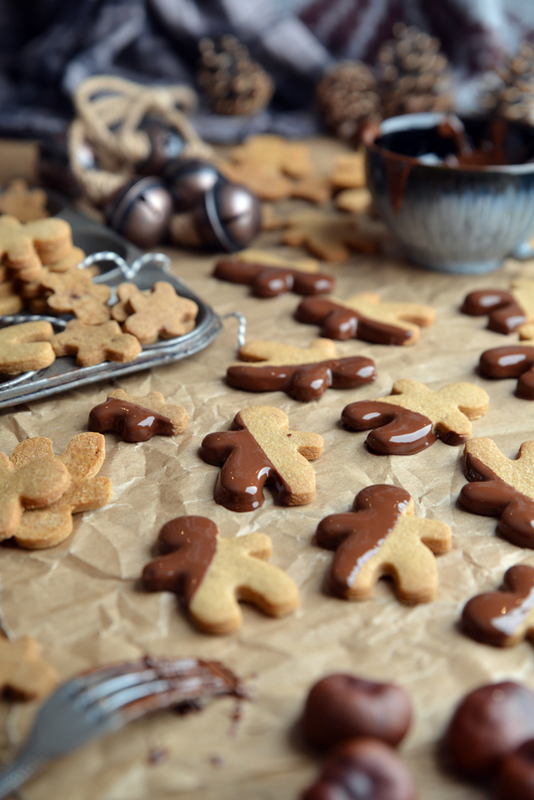 Roll the dough out on a lightly floured surface to about 0.5cm/¼ inch thick and cut out gingerbread men. Re-roll until all the dough is used up. Place the biscuits on a baking tray covered with greaseproof paper and bake in a preheated oven. 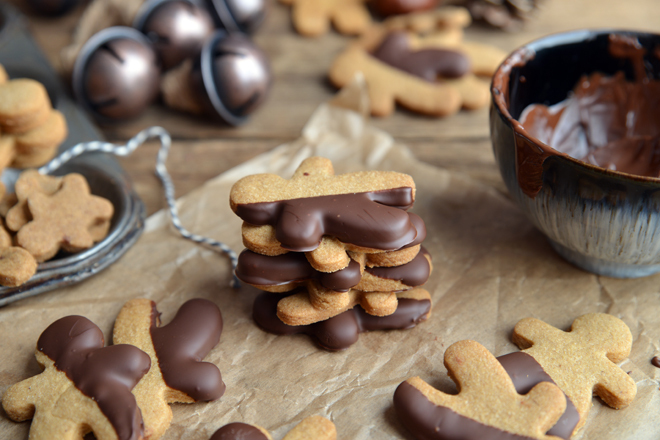 12 minutes for mini men, 15-20 minutes for larger gingerbread.. 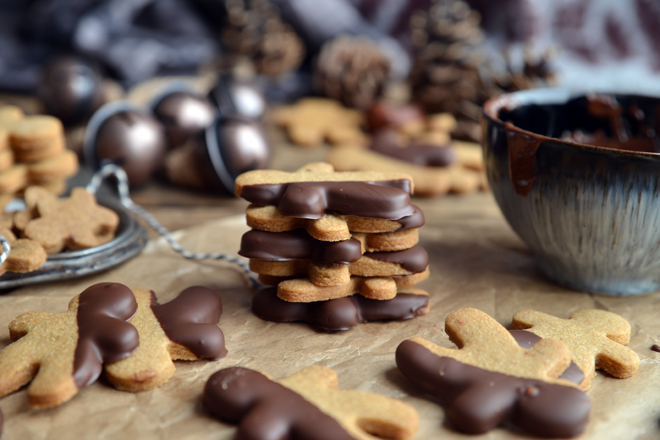 If desired, once the gingerbread men have cooled melt dark chocolate and dip the gingerbread men partially in, place on a tray lined with greaseproof paper and pop in the fridge for about 15 minutes until the chocolate has set. Store in a tin or in the fridge if you like your chocolate crunchy.